Liverpool have been drawn against Italian side AS Roma in the Champions League semi-finals, with the first leg at home. 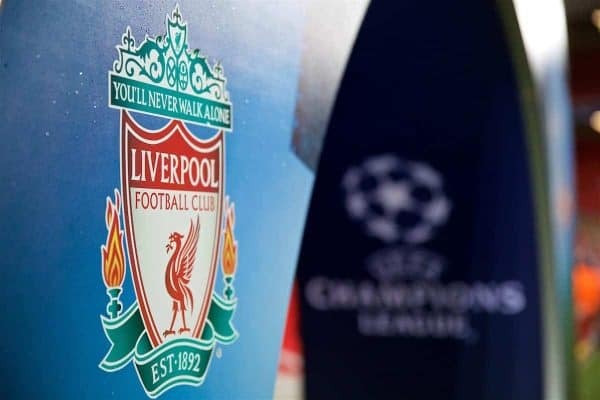 The first leg will be played on Tuesday 24 April at Anfield, with the return leg a week later on Wednesday 2 May at Stadio Olimpico. The first leg game arrives after an away trip to West Brom, with a home match against Stoke City in between the two games. Expect some rotation. The other semi-final sees Bayern Munich play Real Madrid, with Bayern at home in the first leg. It means a return to Rome for Mohamed Salah, the club he joined the Reds from last summer. The Italian side overcome Barcelona in the semi-final with an incredible 3-0 win in the second leg. The last time the two sides faced each other in European competition was in the Champions League group stages in 2002. Any meeting against Roma will always conjure memories of the 1984 European Cup Final which the Reds won on penalties in Rome’s own stadium!